Bernard KAEMPF (dir. ), Introduction à la théologie pratique, Strasbourg : Presses Universitaires de Strasbourg, 1997. 24 cm. 401 p. ISBN 2-86820-674-3. FF 130. Kathy BLACK, A Healing Homiletic : Preaching and Disability, Nashville : Abingdon, 1996. 21,5 cm. 199 p. ISBN 0-687-00291-5. $ 14,95. David C. NORRINGTON, To preach or not to preach ? The Church’s Urgent Question, Carlisle : Paternoster, 1996. 23 cm. 130 p. ISBN 0-85364-697-X. Bernard REYMOND, Jean-Luc ROJAS (dir. ), Comment enseigner l’homilétique ? 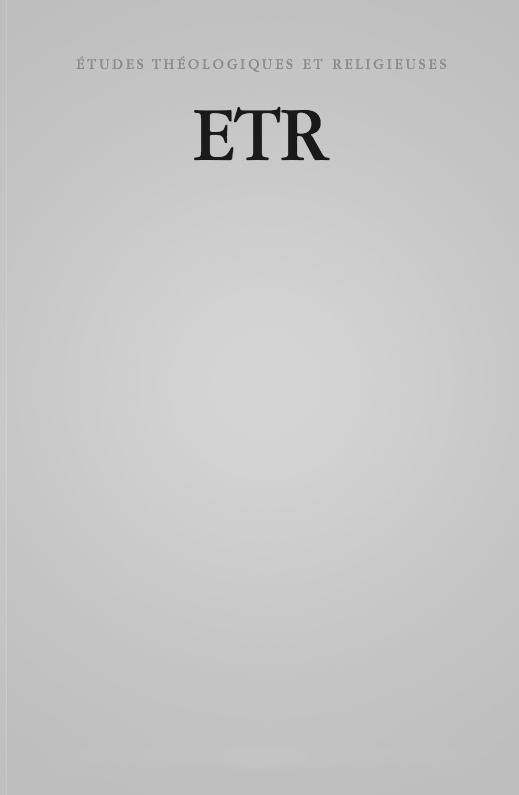 Lausanne : Cahiers de l’IRP (supplément), 1997. 30 cm. 132 p. ISSN 1015-3063. FS 12. Ion BRIA, The Liturgy after the Liturgy. Mission and Witness from an Orthodox Perspective, Geneva : WCC, 1996. 22 cm. 88 p. ISBN 2-8254-1189-2. FS 11,50.